Steps away from Newport Harbor, beaches and yacht clubs. Located at the start of Ocean Drive and three doors down from the NY Yacht Club, this charming home is a great getaway. 29 nights minimum stay required. Open plan living with fully equipped kitchen, microwave, dishwasher, central A/C. It has two bedrooms with queen beds in each. One bathroom has bath/shower and the second has a stand up shower. Crown molding throughout the house. South facing, so plenty of sunshine to brighten up the house. It is steps from the New York Yacht Club, Ida Lewis Yacht Club and the harbor. Its got the best of all worlds. Beside the sea, countryside yet less than a mile to downtown. Close to the New York Yacht Club (3 houses away) and Newport Harbor. Big, clean, well equipped, great location! 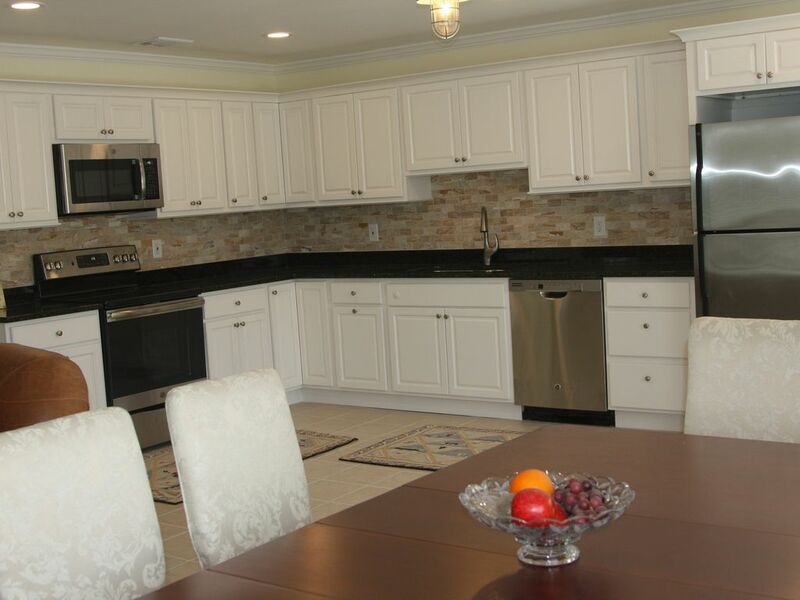 This is a great property to stay at while in Newport for an extended vacation or work. About a 13 minute drive to Naval Station Newport and a mile to the Thames street bars and restaurants. The home is quiet and private. Massive kitchen and everything is new! I had a great stay and it will definitely be at the top of my list for my next trip to Newport. The house was great! Private driveway and entrance from the road. The homeowners were so quiet that I forgot that they were just next door. Very accommodating and hospititable. They said that they just renovated and the place looked really nice. Being so close to downtown and the waterfront, you really can't beat this place for the price. Minutes away from the Newport mansions too! We are located at the start of the Ocean Drive.The New York Yacht Club, Ida Lewis Yacht Club and King Park Beach are steps away. Baileys beach and Gooseberry Beach are less than 1 1/2 miles away. Downtown Newport is less than 1 1/2 miles.